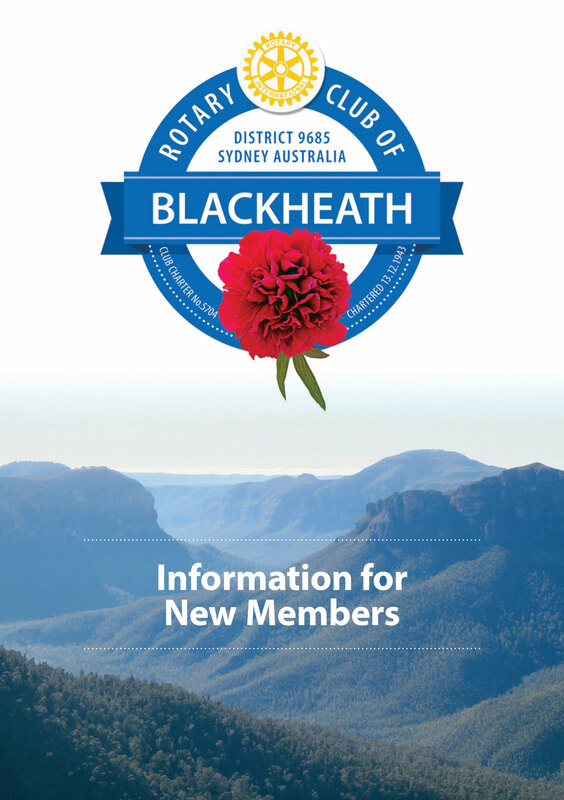 Blackheath Rotary Club is one of the oldest Clubs in our District 9685, having received its Charter in December 1943 and has served the community continuously to the present day. Our club has provided two District Governors in its history: Ed Hill in 1962-63 and Paul Klausen in 1998-99. Blackheath Baby Health Centre, completed in 1948 by the fledgling club. Rhododendron planting and formation of the Rhododendron Association. Sandstone Tourist Directory Board and clock (NSW Office of Environment & Heritage listed). Community Centre development with a hall added to the School of Art. Construction of the Paul Harris Lookout in Staveley Parade, Blackheath. Picnic shelter and playground equipment in Memorial Park. Street tree planting including Californian Redwoods as Christmas tree. Filtration plant for Memorial Park Swimming Pool. Picnic ground at Megalong Crossing. Entrance gateways to Rhododendron Garden. Establishment of Rotary Pine Forest for sale of Christmas trees which earned tens of thousands of dollars for various projects and charities. Car parking area Hartley Historic Village. Construction of amenities for the disabled in Sutton Park. Various bus shelters in Blackheath. Change sheds at Browntown Oval. Design and installation of storyboards for the “Crossings Room” at the Mount Victoria & District Historial Society Museum to mark the Bicentenary of the Crossings of the Blue Mountains 2013-15. Construction of a garden at Katoomba Hospital Mental Health Unit and provision of exercise equipment. Financial assistance with refurbishment of the Palliative Care Ward at Katoomba Hospital with the proceeds from our Inaugural Anzac Golf Day in 2014. Download our comprehensive Information for New Members booklet here.  Membership dues: $270 per year or $140 per six months. In 1942 Bill Tate was appointed Town Clerk to the Municipality of Blackheath. Prior to this he had been Town Clerk at Cessnock where he had been involved with the Rotary Club there. 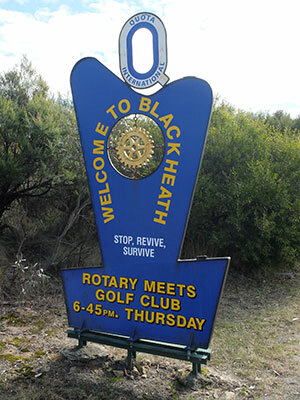 His discussions with Blackheath’s business community engendered sufficient support to establish a Rotary Club in Blackheath. With the support of the Katoomba Rotary Club the charter for Blackheath was issued on 13 December 1943.